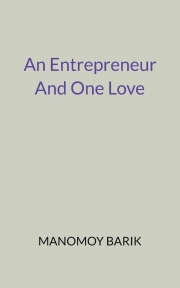 Description of "An Entrepreneur And One Love"
An Entrepreneur And One Love: The book is of a simple and successful love story. The book will not show any sad situation. In this book the main character is Debabrata, a village boy and his love, marriage and a successful love life. And how Konika helps Debabrata to build their love life so successful. Manomoy Barik, the author is a student. He also wrote at magazines early. And it is his a small effort to writing a simple and positive love story. Reviews of "An Entrepreneur And One Love"